The Complete Mobdro Channels List – Online TV Streaming Channel Guide – Mobdro is a great Android app for streaming live TV, videos and other multimedia content. The app continuously scour the internet for free streaming videos and make them available on your devices. If you enjoy watching live streaming of sports like football and other related sporting events, then you should definitely have Mobdro on your device(s). Aside from the most popular TV channels, the app also has a Mobdro sport channel list for anyone who enjoy sporting events. Not only that, the Channels List also have Mobdro Hindi Channels for those who watching show and streams in that language. Under each “category” are the live streams/shows/TV series and videos users can watch. 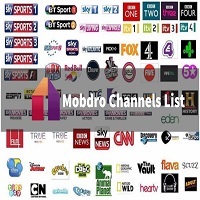 Check out the Mobdro channels list below to see which ones are included under every category. The lists are arranged alphabetically for easy reference. NOTE : Channels availability depends on the users’ location and watching time. Not all channels may show and contents may widely vary dependent on the two variables. Also note that Channels are always being added and updated so users may have more or less channels when using Mobdro. 3tv Az’s Family, 69news Traffic Livestream, 760am – Aaj News, Abc Radio, Abp News, Ary NewsBloomberg, Atlantis5, Bfm Business, C- Span, CBN News, Cdnlive, Ch4 Nashville, Channels TV, Citizen Tv Live, CNBC, CNN, CNN International, CTV News, Deecaht, DW News, Dunya News, Express Entertainment, Express News, Euro News, France 24, Fox News Channel, Fox 43 WMPT, Fox News Talk, Geo News, LCI, Msnbc, N24, N-TV, Press TV, Rt Arabic, Rt Espanol, Rt News, Sky News, Sky Sports News, Sudoc, Ufo News, The Weather Channel, Tech News Today, Sky News, Russia Today, Pars TV Network, Newsmax TV, Waff, Wjbk,Wsmv, etc.. This category lists all the latest movies from all genres. As with other categories, contents are always being updated so users are encouraged to check the listing everyday to catch new movies. As you can see from above, the Mobdro channels list is almost impossible to complete as new categories and channels are added daily. Everyone will find a show/video to fit any channel or category one wants to watch. Expect the Mobdro channels list to further expand as new links and streams are added. You can watch the video below to know more about the Mobdro app. Please share this post with your friends if you found it useful. Let us know what you think by leaving a comment below. What Is Mobdro? : How To Use Mobdro The Right Way – There are tons of video streaming applications for all platforms. If you search for “best video streaming apps” you will get the top results for the most popular ones like Amazon Prime Video, HBO Go and Netflix. You must have a subscription to these providers to fully enjoy their services. If you enjoy watching movies, TV series and other multimedia content but do not want to pay for a monthly subscription, then should check out the Mobdro app for android. Defining Mobdro may be as short and simple as the above but that doesn’t mean it’s all the app can do. Once installed on your device, the Mobdro app does a lot more than just find and stream videos on your gadget. In fact, Mobdro is one of the best streaming app for Android. Below are some of the benefits of using the Mobdro app on your Android device. Intuitive Menu – Developers made the Mobdro interface very easy to use even a child can use it. Tons of Content – Mobdro’s ability to find hundreds of free streaming videos online provides you with unlimited entertainment. You must install Mobdro first before you can use it. You can follow the simple guide below to download and install Mobdro on your device. Developers specifically had the Android operating system in mind when they made Mobdro. Although Mobdro is for Android, it is not available in the Google PlayStore. Users can directly install Mobdro using the procedure below or sideload the Mobdro apk file using a computer to install it on your gadget. To get you started with the app, do the steps below to get Mobdro on your Android device(s). Step 1. Visit this site using the browser on your Android device. Step 2. Click on the red “Download The App” button to start downloading the file to your device. Step 3. Tap on the downloaded file to start the Mobdro app installation. Step 4. You can open the app after installation to start watching. Getting Mobdro on your device is easy enough. You don’t need to be a rocket scientist to use it either. To help you get the most out of the app, you can read our “user’s guide” below. Choose a “Category” for the content you want to watch and tap on the icon. After selecting a category, you can then proceed to choose the the episode/movie/stream that are available. Tapping on the content will immediately open the media and you can start watching. Its that simple. The only downside to this is you can only watch what is currently being streamed. You can’t choose which episode to watch so you must be aware of the schedule of your favorite show when its on. If you want to search for live streams or shows, you can use the “Search” function in the upper right hand corner of the mobdro interface. Tap on the “Magnifying Glass” and type in the stream/show you are looking for. Tapping on the stacked three horizontal lines in the upper left hand corner will show you the screen below. On this screen you can see your “Favorites” and other activities on Mobdro. You can quickly set up your “Favorites” by going to the the video you want to add to your “Favorites” the tap on the three dots to open the options menu and choose “Favorite”. There are other options aside from being able to add the video to your favorites. You can also “Share“, “Download“, or “Play” the video you choose. Selecting “Share” will enable you to choose an action/app to share the video. For instance, you can share it using your email, Facebook or Messenger, or any other application. The “Download” option allows you to save the video to your device’s local storage while “Play” will quickly start video streaming. Tapping on “Live” will show you a list of all the live streaming videos currently “on air”. Updates – Enable app updates using mobile network data connection (not recommended). This may cost you money. Content – Control what streams are shown in your “Language“. Sort streams alphabetically and set Parental Filter for safe streaming. History – You can clear your search history here and set the app to never store your search history. Help will take you to the “Help” screen where you can get the basic answers/instructions on what is Mobdro, how to get Mobdro and other questions. There is also a “Troubleshooting” guide included for the most common problems users usually encounter when using Mobdro for the first time. This section also shows “Permission & Data” to let users know what the app does with the personal user’s data they collect and other “Legal” stuffs. About displays the Mobdro version installed on your device. Users can also check for new updates in this section. There is also a link to the “Help” section on this screen. This section also has a list of changes and known issues in the installed version. “Open source licenses” lists all the software used by Mobdro and the terms and conditions of use contained in the EULA (End-User License Agreement) if you decide to use Mobdro app. There are two Mobdro versions : the Freemium and the Premium versions. The Mobdro Freemium version contains ads and lots of them. You will see these ads on the main user interface and everywhere else (like sponsored links and videos). If you don’t mind some distractions while watching videos then this Freemium version is meant for you. However, if you want to get rid of the apps then you should get the Mobdro Premium version. NOTE : As of the writing, Mobdro has been updated to version 2.0.58 (Freemium) and there is no link to “Go Premium”. Developers are busy answering users’ questions, fixing bugs, server maintenance and updating the app. You can watch the video below to know what is Mobdro and some guide on how to use it. Mobdro is a great way to watch live streaming videos, sports, TV series and more on your devices. The app may not be perfect (yet) but it offers the best viewing experience for free. Please share this post with your friends so they can install Mobdro. Also leave a comment below to let us know what you think. 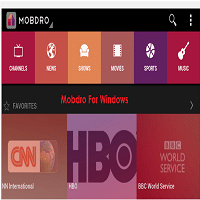 How To Install Mobdro for PC (Windows 10/8.1/7) : Quick And Easy Method – If you have been searching for the right application to stream free videos on your Windows PC then you’re in luck. The tutorial below will show you how to download and install Mobdro Windows on your computer or laptop. As mentioned in a previous article, Mobdro app is an Android app the searches the internet for free streaming videos and make them available on devices like smartphones, tablets, windows computers and Macs. Although Mobdro was specially made for Android, it can also be installed on computers running Windows 10, Windows 8, Windows 7, Windows Vista and even Windows XP. As you can see, many people are interested to get the Mobdro app on their computers. Currently, there is no “official” Mobdro app for Windows. The Mobdro app is only available for Android. But you need not worry. There is a way to download and install the Mobdro apk for Android and get it on your Windows computer. Even if you have Android devices with Mobdro installed, you may still want to have it on your Windows computer/laptop. Why would you want to do this? The Mobdro for PC app is a great way to enjoy free streaming videos from all over the world on your Windows device. With the Mobdro Windows app, you can access more than two hundred live TV channels, movies. videos and more. Get rid of the advertisement to enjoy ads-free streaming of multimedia content. Download the streaming videos to your Windows computer and watch then whenever you want. You can watch streaming videos using Chromecast. You can also schedule your viewing with the convenient sleep timer feature. 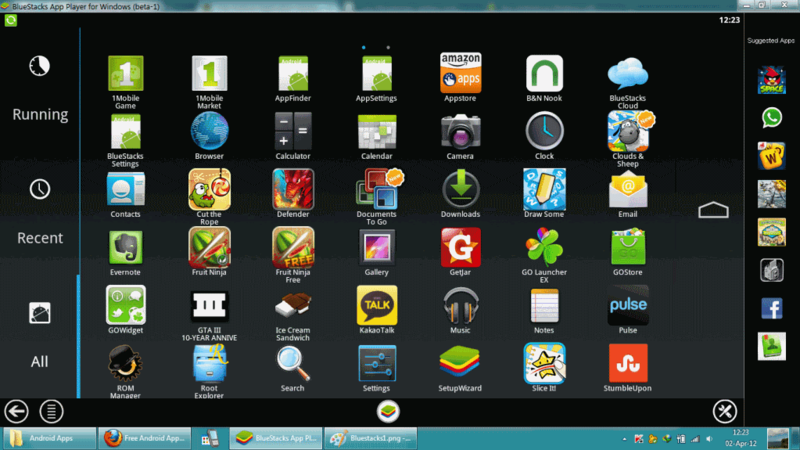 Those mentioned above are just some of the Android emulators for Windows. There are still others but the most popular one though is BlueStacks. To help you get Mobdro Windows on your computer or laptop, we must first install the Android emulator on your system. Follow the steps below to install BlueStacks on your Windows computer/laptop. Step 1. Download the latest version of BlueStacks by visiting this site. Step 2. After the download has finished click on the file to open the installer. Step 3. Follow the screen prompts. Click “Next” to accept the term of use. Step 4. You can choose where you want to install the program but the default location if okay. Step 5. Make sure that “App Store Access” and “Application Communications” are enabled. Step 6. Now you can click the “Install” button to start the installation process. Step 7. Allow the installer to finish its work. The process may take several minutes. Step 8. Click on “Finish” when the installation is done and BlueStack should open. You have just installed BlueStacks on your system. You can watch the video below to see how the process is done. You are now ready to download and install Mondro Windows for your computer/laptop. Downloading and installing Mobdro Windows on your computer/laptop is easy. Just follow the steps below and you will be watching live streams in no time! Now that you have installed an Android emulator for your Windows system, you can now download and install the Mobdro Windows next. The procedure below will show you how. Step 1. Visit this site (www.mobdro.ca) to download the latest version of Mobdro. Step 2. Open the BlueStacks for Windows you installed using the tutorial above. Step 3. Select the “APK” in the left-hand sidebar of BlueStacks. Step 4. Look for the Mobdro apk file you downloaded in Step 1. Step 5. Select the file and click “Open” to start the Mobdro installation process. Step 6. Wait for the installation process to finish. Step 7. You will get a message which says “Mobdro app has been updated“. This means the app has been installed on your Windows computer. That’s the easiest way of installing Mobdro app on your Windows computer or laptop. You can watch the video below to see the procedure in full. This Mobdro for PC download and installation tutorial will work with Windows 10, Windows 8, Windows 7, and even Windows XP/Vista. Now that you have Mobdro installed on your Windows PC/laptop, you can start watching free streaming of live videos, movies, TV shows and other multimedia contents. Enjoyed this post? Please share with your friends. We would like to know what you think so kindly leave a comment below. If you are having trouble with Mobdro, this article will show you how to properly install Mobdro in a few easy steps. Please refer to the video below. If you have any questions please feel free to leave a comment and we will be happy to help you out.